December is such a busy time for so many of us. There are events to attend, shopping to do, presents to be wrapped, cookies to be baked and frosted, Church services to attend and preparations for Christmas Eve and New Years Day. If you have the time, it is always enjoyable to drive around the local area and neighborhood to see all the Christmas decorations no matter if you are young or young at heart. Decorating the Christmas tree, decorating your home inside and out, all these things take time and energy. With work and other family responsibilities, no wonder stress can get the best of us. Don’t even get me started about worrying about weight gain, this coming from a gal who has been pleasantly plump pretty much her whole life. I know I am seriously going to try to avoid snacking on Christmas cookies as I bake and just staying away from sugary treats in general. Realistically though, it is the holiday season and If I want a nice hot cup of cocoa with marshmallows, I think I am just going to have it. 🙂 Okay, maybe I am going to try to avoid having too many snacks for sure, but I am probably going to enjoy a cookie or two or three over the season. I guess the key really is to be careful and not overdo. One great tip (My diet hack!) for me is to have a piece of healthy chocolate with a glass of water 30 minutes before my meals. This helps curb my cravings without feeling like I am dieting. It also works great when you are attending holiday and work parties. I remember years ago working at GE Capital. I swear the entire month of December we brought snacks and cookies and holiday foods every Friday the entire month. Some weeks vendors brought in food for lunch with desserts. It was just a crazy calorie laden month!! I don’t even want to think about how much weight I gained back then. If you are dealing with that situation, I highly recommend you order some of the Beyond Healthy Chocolates and bring them with you to curb your cravings. There are always a few healthy chocolates in my purse wherever I go, just in case! After all the chocolates are still belgian chocolate even if they are super healthy and equal in antioxidants to over a full pound of raw spinach! Plus at just 35 calories a piece, 1 gram of sugar and 1 net carb, there is literally no guilt. NONE! So we will enjoy the holidays and then it will hit us like a ton of bricks. The weight gain, the wanting to start the new year right. Wanting to improve our health and lose that dreaded extra weight. Well, I personally have a plan for that too! I have already ordered all my supplies to start my Fearless Success Program. This Fearless program Beyond Chocolate cacao based protein shake was featured on the cover of The American Journal of Bariatric Medicine with the Beyond Healthy Chocolate shake. (The Bariatrician) You simply replace two meals a day with this yummy cocoa flavonoid rich protein shake and have a normal healthy dinner. 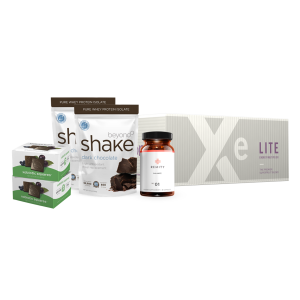 During the day you will enjoy 1 to 2 Xe Lite healthy energy drinks and healthy chocolates for cravings. You will also be taking the Remity Balance Symbiotic blend that includes probiotics, prebiotics and digestive enzymes. Not only are we going to lose that extra weight, we are doing the healthy way for long term success! Plus we get to enjoy CHOCOLATE the entire time! So if you are Fearless like me and ready to start 2019 off right, now is the time to order your supplies so you are set to go. Plus during the month of December, you can EARN FREE PRODUCT REWARDS! Use coupon code “rewards”. Available in December while supplies last! There is an awesome deal to order the Fearless 200 Success System which includes everything you need for the first month for just $249. Some will choose to do a 2 scoop shake which would require additional shakes for the month but that is up to you. I personally enjoy the 2 scoop shake since it has helped my fibromyalgia and chronic fatigue symptoms so much. Somehow, having a plan and knowing starting JanuaryI am going to start my Fearless Success program, I don’t feel worried about possibly gaining a couple pounds over the holidays. I will do my best but I won’t be consumed with worry. Better to focus on all the good things about Christmas. Celebrating the birth of baby Jesus, spending time with family, blessing others with gifts and yes, enjoying some really yummy foods. So hurry and order your Fearless Success System in December! Once you order, you are welcome to join our facebook group to support each other with our weight loss goals. Feel free to contact us directly. I am Lynette Henk of Three Sons Marketing LLC. 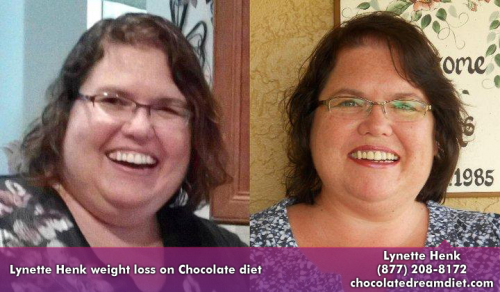 Vist us online at HealthyChocolateFix.com or call us at (941) 676-7300. We are always here to help! Have friends and family that want to join in? Well Beyond also offers a great money making business opportunity for those looking to work from home earning a part-time or full-time income. We have a promoter division where you can also get paid to share this amazing product line and help others receive a transformative experince like so many of us already have. I have to say, this is the absolute best thing I have ever done. Blessed to be a promoter with Beyond! Contact us online or call for details.